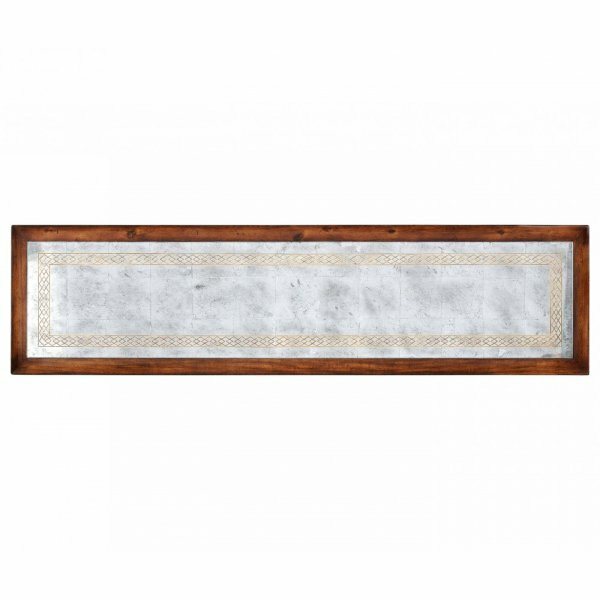 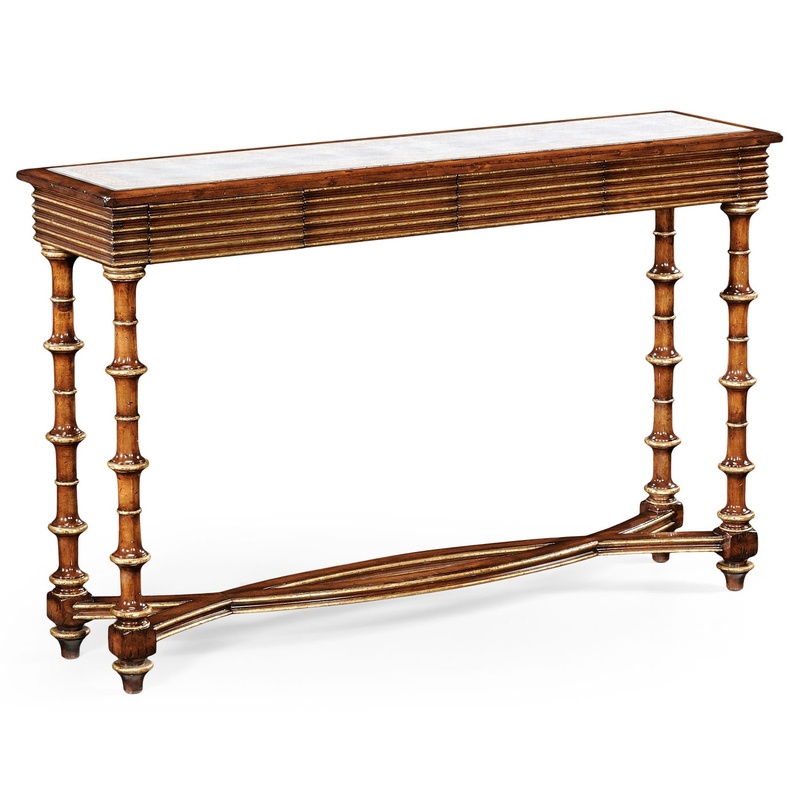 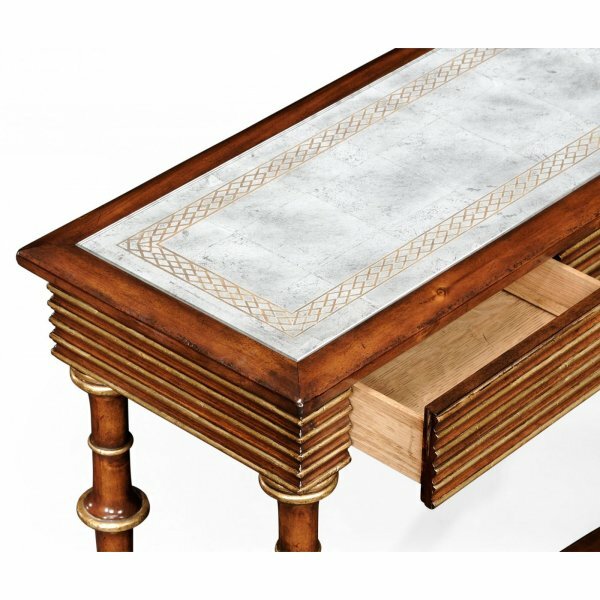 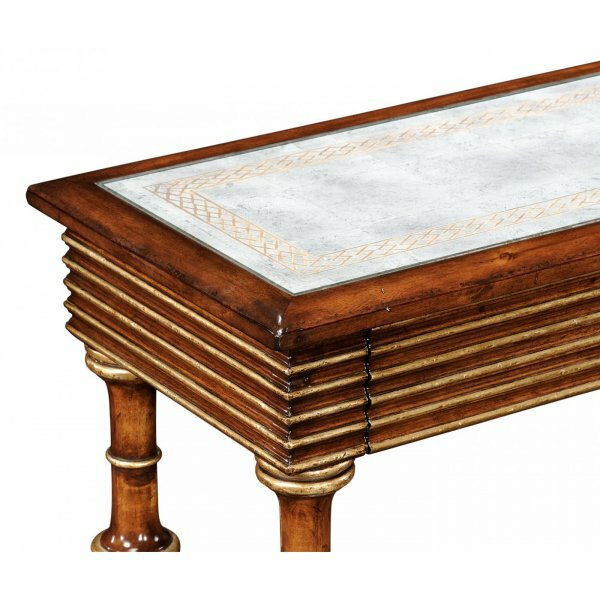 Console Table with Glass Top / Hall Table features ribbed drawer front, sides and legs heightened with gilt detailing, hand painted eglomise top and interwoven curved stretchers. 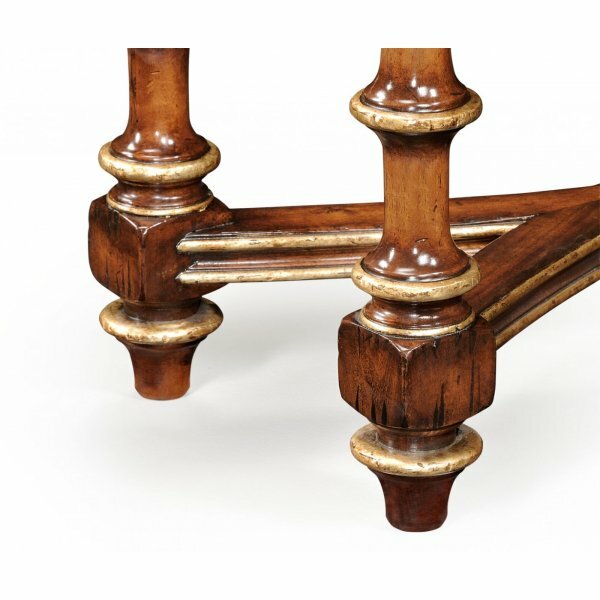 This beautiful, practical Walnut Hall Table would make an excellent addition to any living room, dining room, hallway or bedroom. 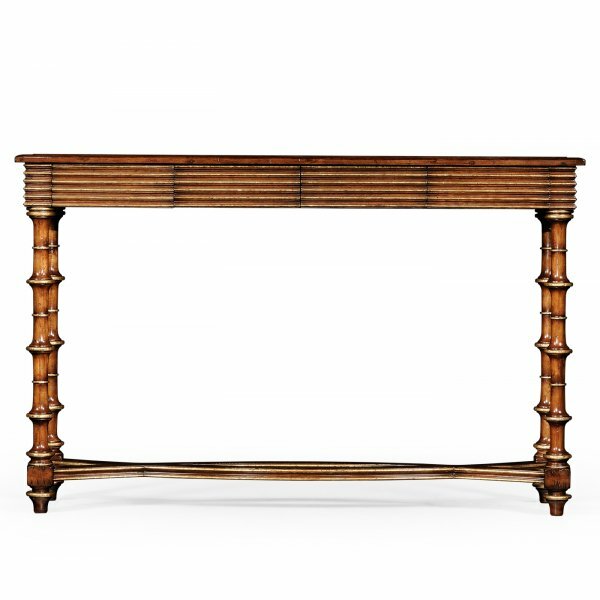 Our remarkable Walnut Console Table will last for years.